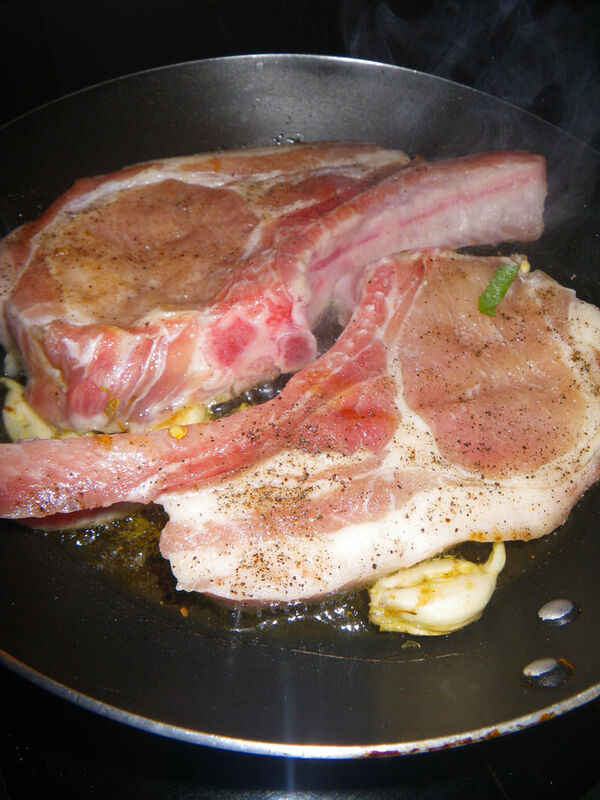 People loves pork loin chops, but sometime inappropriate cooking method would lead to dry meat in the center. This happened to me many years ago. However, after trials and learning from others, I now know how to cook this cut better and how to balance the flavours. 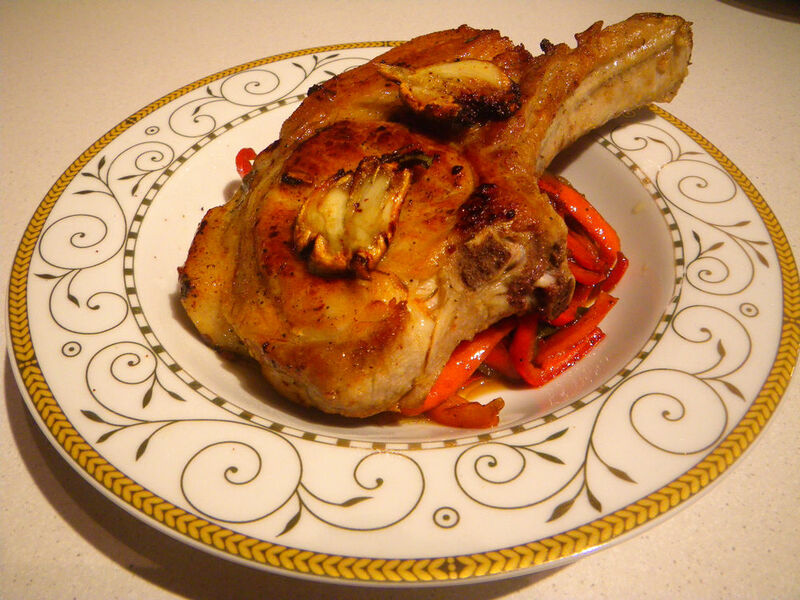 Using this recipe, you can get a better pan fried pork chop with juicy and tender meat. 1. 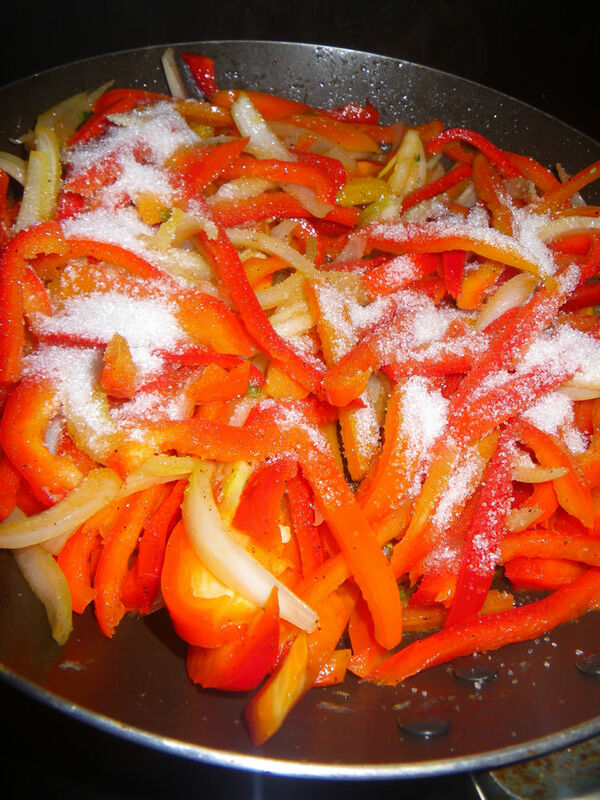 Before making the sweet and sour pepper, season the pork loin chops with salt, pepper and white wine. 1. Heat the pan at high heat with the smokes just on. 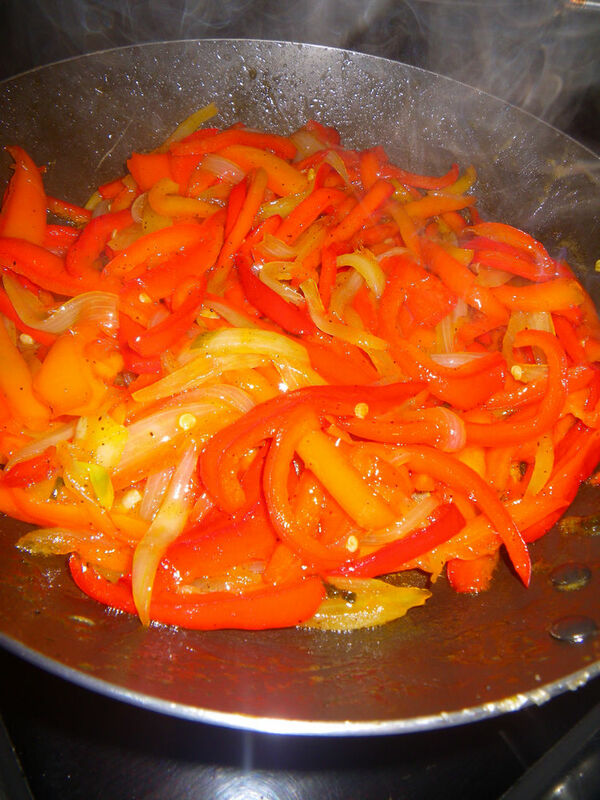 Add oil to the pan, add in the sliced capsicum and onion and saute for 2 minute until soft. 2. 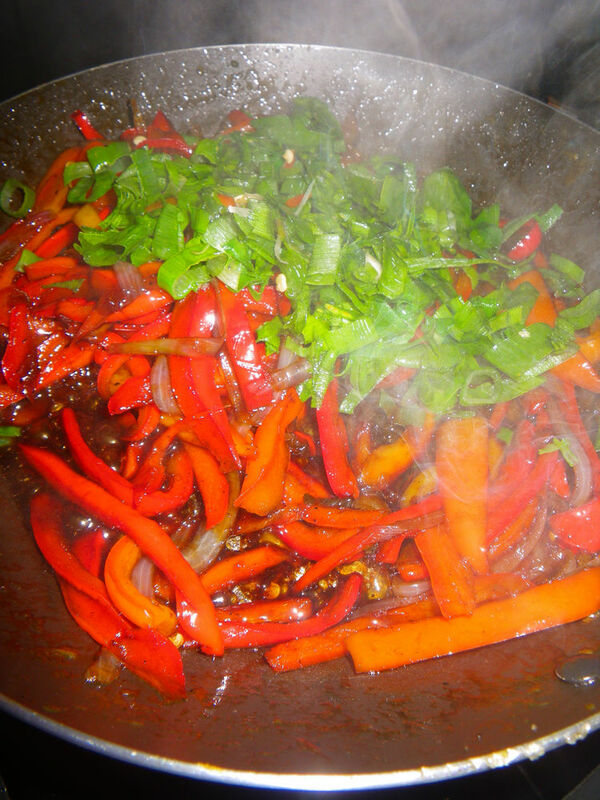 Then, add the sugar ( 2 tbsp) and stir until the pepper and onion pieces are completely caramelised. 3. Add a pinch of salt and along the side of the pan, add in 2 tbsp of balsamic vinegar. Stir well. 4. 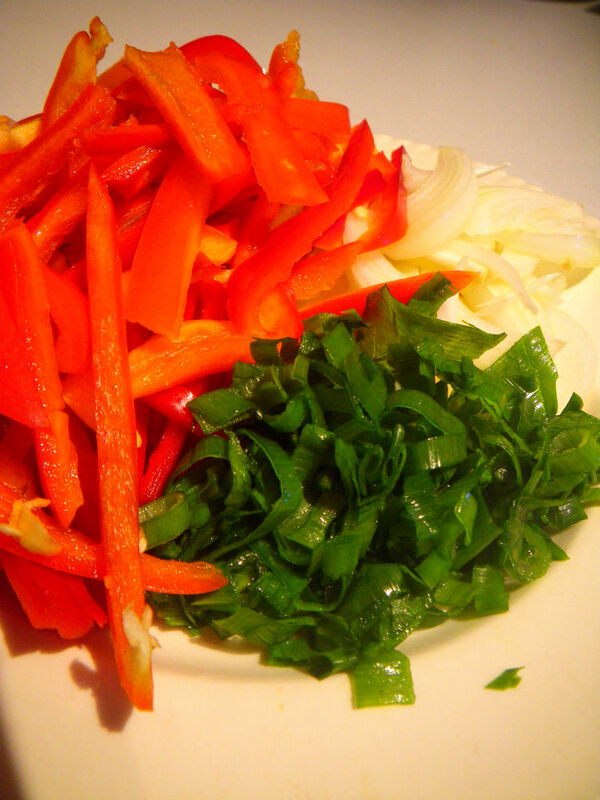 Until the vinegar start to slightly boil, add the chopped spring onion pieces. 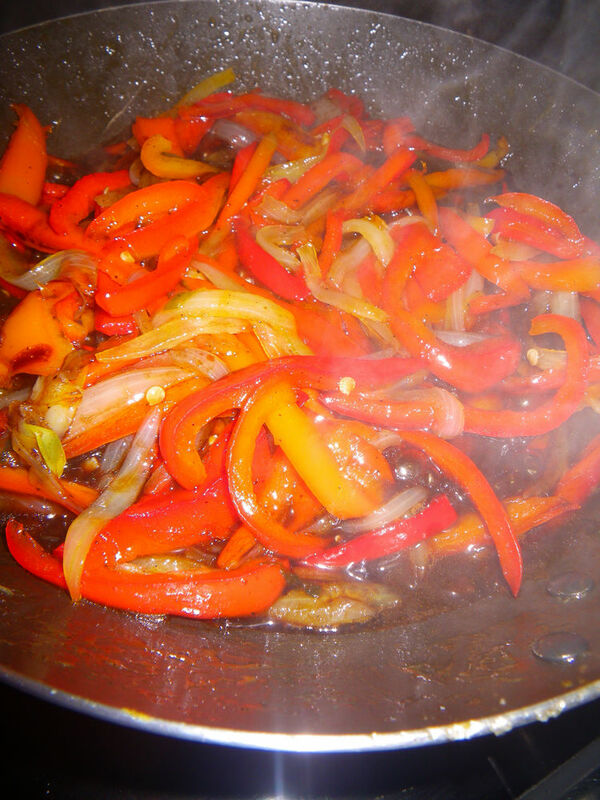 Stir well and set aside so that the vinegar taste can be fully soaked into the peppers. 1. 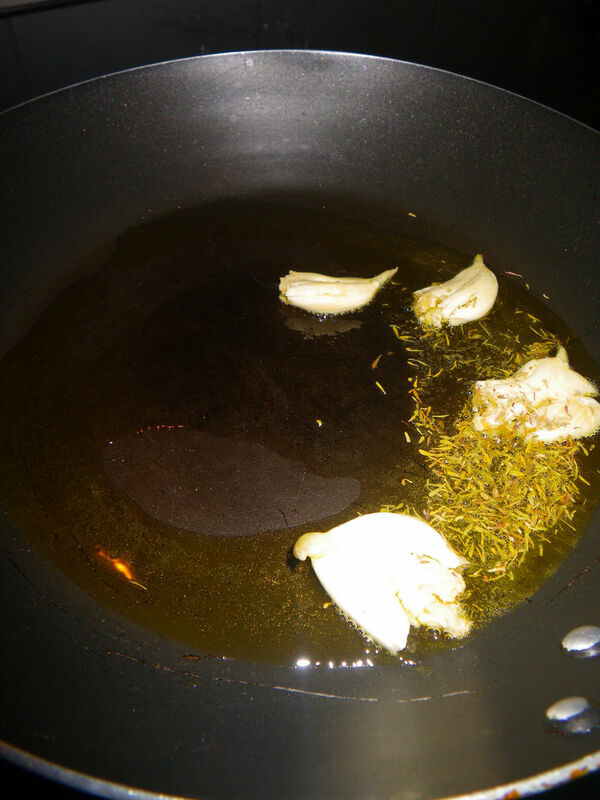 Heat the pan on high, add in oil, garlic cloves and dried thyme. 2. Until you can smell the fragrance, place the pork loin chops in to the pan and continue to heat at high heat for 1 side for 1 minute. 3. Turn the pork to the other side and continue to cook at high heat for another 1 minute. 4. Add in butter and spoon the butter and oil onto the pork. Do this twice. 5. Turn to medium heat and cook for a further 2 minutes. 6. Take the loin chops out and rest for another 1-2 minutes. 1. 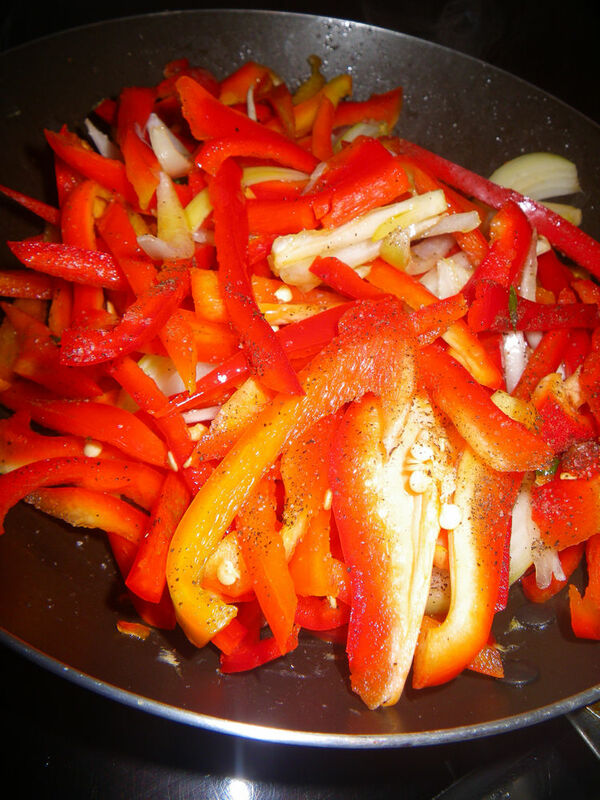 Place some of the sweet n’ sour pepper on a plate and top with the rested pork loin. 2. Spoon some of the oil and the brown garlic on to the pork. The taste of this dish is just brilliant! Diners can expect to experience sour on nose and strong fragrant garlic and thyme. 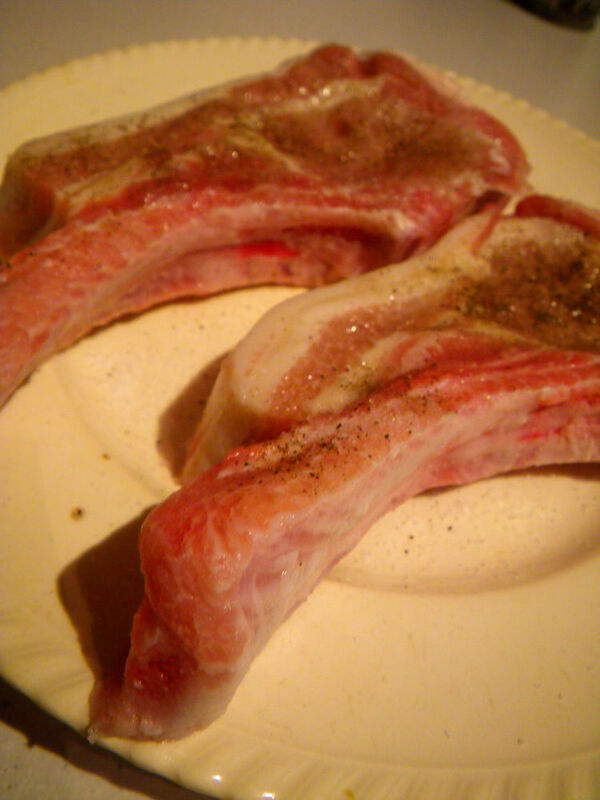 The chops are tender, moist and full of juices. Even cutting at the center, the meat still shows good structure and texture. You can even see the juices running out of the chops while cutting and that fatty outside part just made the dish so tasty, delicious and flavoursome. Moreish! The crispy garlic cloves are so crunchy and can be enjoyed with the pork. The pepper exhibit strong sweet and sour flavour on palate and the caramelisation made the veges so soft with a better texture. 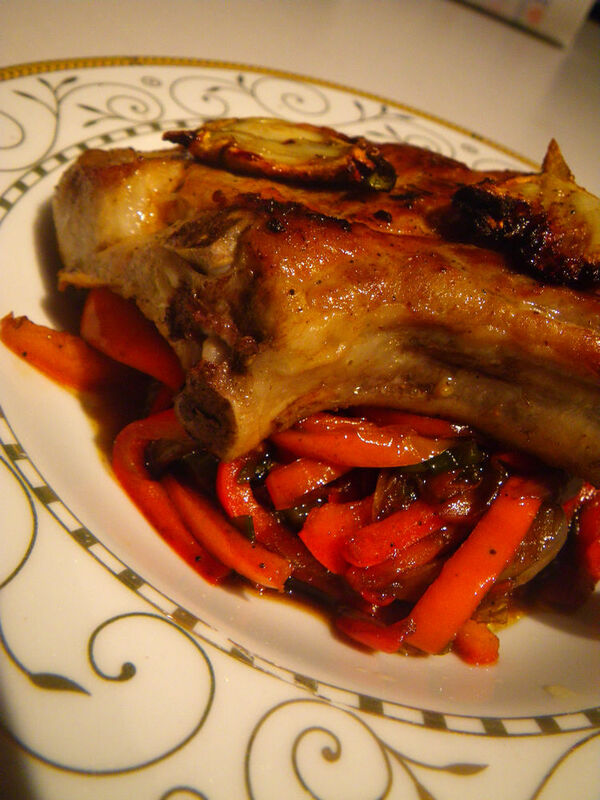 The complexity in balsamic vinegar also added extra layers of flavours, which complemented the pork extremely well. Next coming up will be a food related issue on Free Range Eggs. 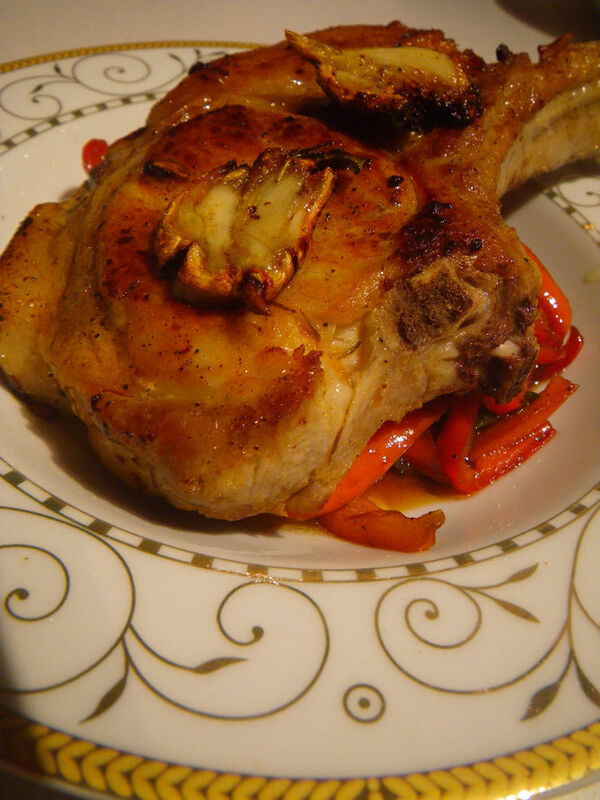 Stay tuned and enjoy the pan fried pork loin chops with sweet and sour pepper! G’day Xin! 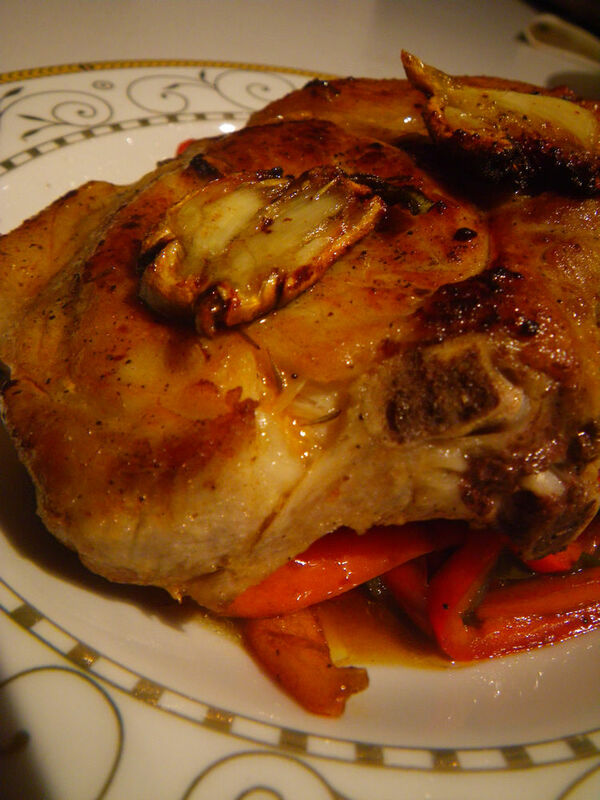 While I am not a pork eater, your photo and recipe look yum, true! Thanks Joanne! No wonder never saw any pork dish on your blog. lol Yep, that balsamic vinegar is just awesome! Thanks for the compliment Chelsea and very glad for your discovery. 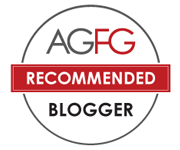 I always love to meet like minded Australian food lovers because we all live in this wonderful foodies heaven. lol Enjoy my blog. 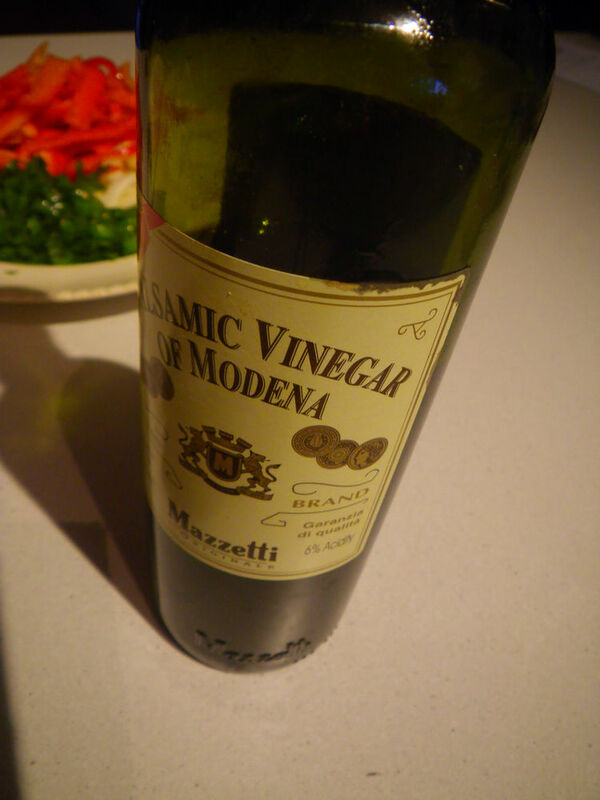 i love it even more with aged balsamic vinegar glaze….